The temple of Athena is the most ancient temple of Miletus. It was built during the first half of the 5th century BC in the peninsula south of the Theatre Harbour, where the West Agora was later built. 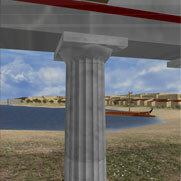 Athena was worshipped in this area -as in other cities of coastal Asia Minor- from the Geometric period onwards. The temple was erected on an artificial terrace accessible through two staircases on its north and south sides. The strong foundation of the temple, the only one surviving today, was made of slabs of gneiss, coming from the mountain-range of Latmos, located east of the Miletian peninsula. Scarce fragments have been preserved from the walls of the temple, which makes the graphic reconstruction of its original form difficult. Measuring 18X35 metres, it was orientated from south to north. It consisted of a cella and a pronaos, surrounded by a pteron of Ionic order. The east and west colonnades were made up of ten columns, the north one of seven, and the south one of six columns. The Archaic temple underwent alterations during the Classical Period, as indicated by the preserved parts of the architrave. 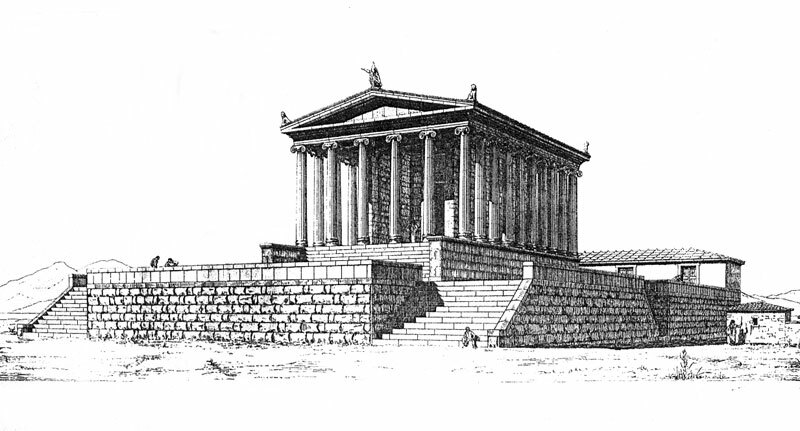 Building modifications on the surroundings of the temple changed its appearance radically during late antiquity. 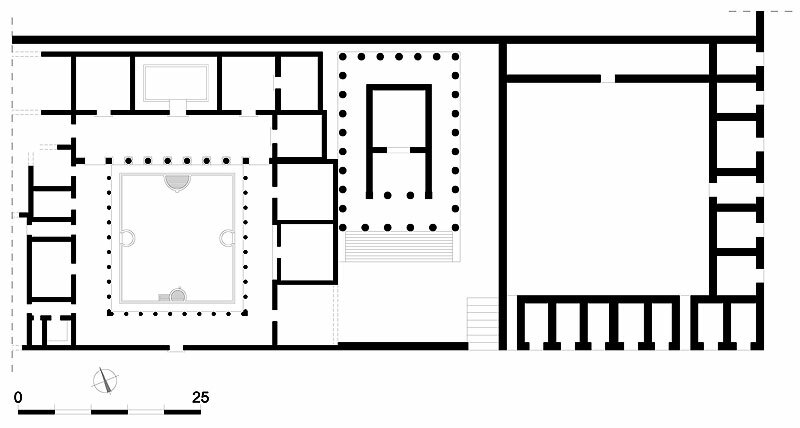 Studies of building remains in the environs of the temple of Athena confirm that the area had been in use from Prehistoric times.